Taroudant – The diversity of Morocco’s landscapes, waterfalls, beaches, desert, climate and culture makes it among the world’s most beautiful countries. Through its geographical position in the Mediterranean basin, the Kingdom, thanks to its rich nature and diverse landscapes, always makes it to the lists of famous countries that appear regularly in the world’s best tourist destinations. A little paradise on earth located 30 kilometers from the city of Chefchaoun in the valley of Talembote, the waterfall of Akchour is a pristine natural beauty and offers guarantee an amazing scenery. Akchour is an uplifting cascade, attracting more and more tourists since the opening of the natural park of Talassemtane. The dam of Bin el Ouidane is located in the province of Azilal, designed by engineer André Coyne. 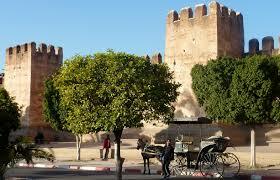 Merzouga is a small Saharan village located in the southeast of Morocco, 35 km from Rissani and 50 km from Erfoud. 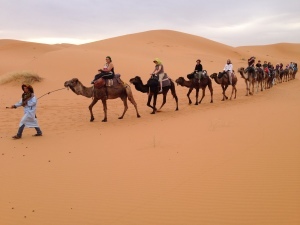 Being one of the best tourist destination of the kingdom, the desert is an ideal place for vast open places, sand lovers and those travelers who love to observe the sun rising over the dunes in very majestic moments. 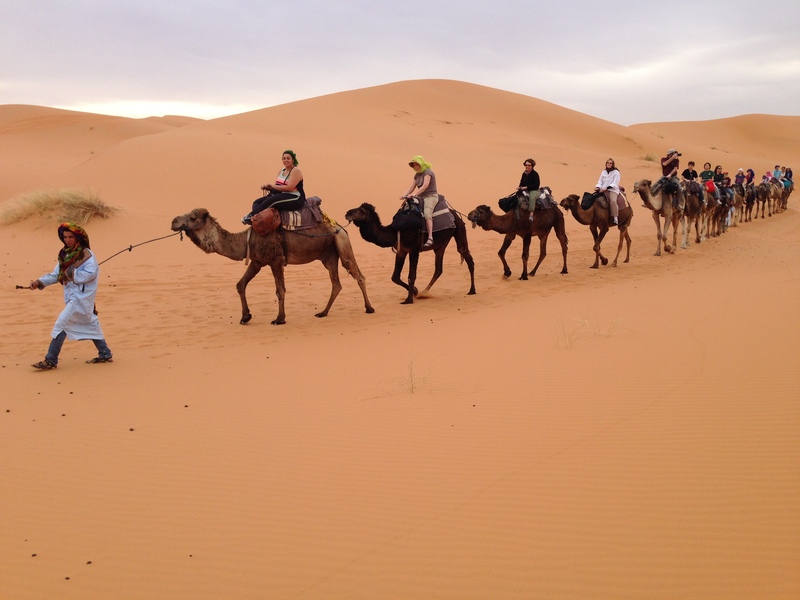 Merzouga is home to Erg Chebbi, one of the largest ergs in the kingdom located in the south east, lining the Algerian border, covering an area of 50 kilometers. 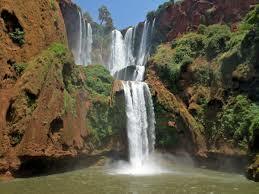 The waterfalls of Ouzoud, which received the Certificate of Excellence 2014 by the international travel website, TripAdvisor, are one of the most popular sites in Morocco, providing uplifting sightseeing. The falls of Ouzoud, which is a Berber name meaning “the process of grinding grains,” lie in a beautiful and friendly small village. The falls provide visitors with stunning views and strenuous, rewarding experiences for hikers. Dakhla, a southern Moroccan city, where the Atlantic gigantic dunes meet the golden dunes of sand in the desert, is one of Morocco’s beautiful cities. In addition to the beauty of the city, which will ensure a comfortable stay for the tourists, Dakhla is one of the country’s most attractive venues for wave riders. The city gained international recognition as an essential destination and a haven for surfer and water sports enthusiasts. Last year, the beach ranked 29th among the 40 best beaches on earth. The Nador lagoon, also called Mar Chica, a Spanish name, meaning a small sea, is a lagoon on the Mediterranean coast, between Nador and Melilla. It is at the heart of a vast redevelopment project. At 15 km (9 miles) from the center of the province of Tinghir, the entrance to the High Atlas, there is a huge gorge in the Todra valley. The high limestone cliffs rise 300 meters above the ground and peak at 2500 meters. Some of them have never been climbed. 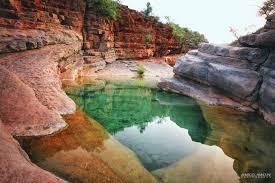 For thousands of years, the Todra river carved the cliffs, which are decorated with beautiful colors by the sun. With its 4,167 meters high, Mount Toubkal is the highest peak of the High Atlas, Morocco and North Africa. Located sixty kilometers from Marrakech, the mountain is known for its snowy peaks throughout the year, and attracts thousands of hikers. Jebel Toubkal, the highest peak in Morocco, is home to Africa’s highest ski resort, located 10,000 feet above sea level on Grande Combe, in Jebel Attar in the chain of the Atlas Mountains. On the road of Imouzzer Ida Outanane, 56 km from Agadir, there is a small rest stop. This is where the adventure to Paradise Valley begins. Mountains, forests, and rivers surround this beautiful place. 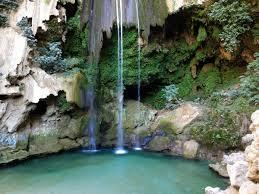 It is composed of three major waterfalls with immense natural turquoise swimming pools. 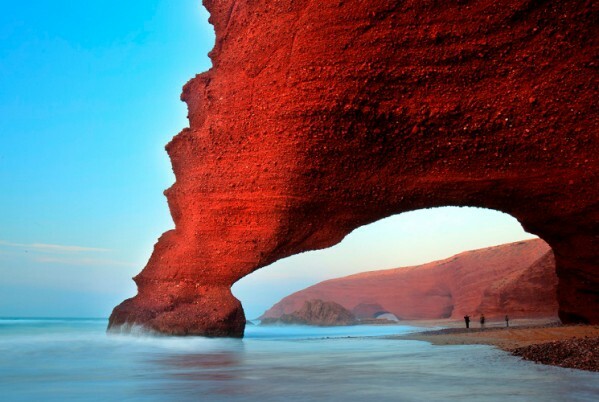 This entry was posted in Tours in Morocco on May 25, 2015 by Discblog.